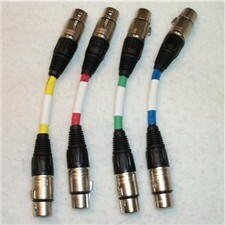 Our Ultra MCTAF's are turn around cables made to change the gender of your snake or any other xlr cable. These turnarounds are female to female. They are made with Canare 2T2S mic cable. Only available in black cable. Please select shrink tube colors.